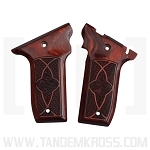 Altamont Co. SW22 grips for SW22 Victory are now available from TANDEMKROSS. 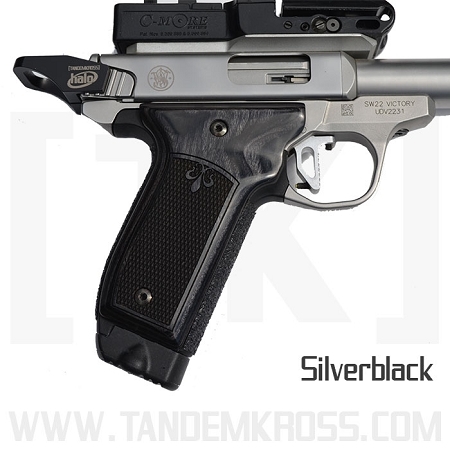 The SW22® Victory™ pistol is quickly growing in popularity among the shooting sports community. 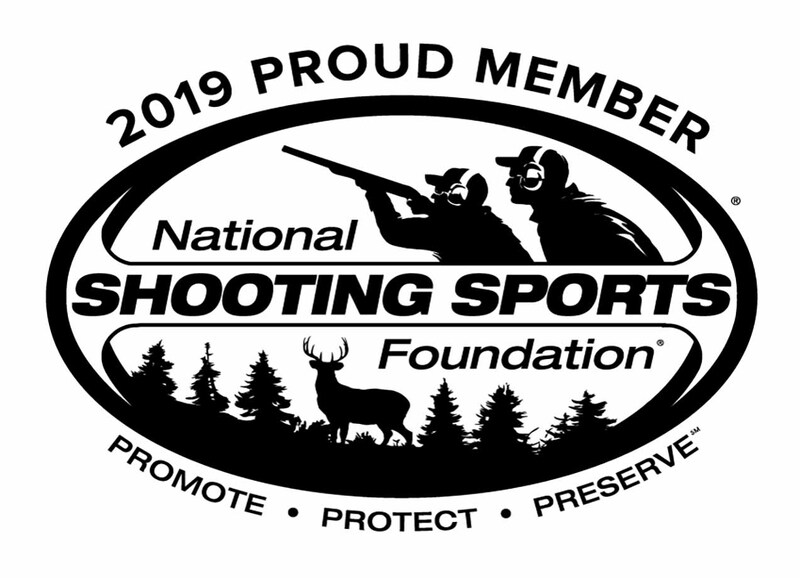 But for competitors in speed shooting sports, especially, the shape of the factory grip and grip surface often makes it challenging to have a strong purchase and good control over the firearm. Get an improved SW22 grip with the new SW22 Victory Wood Grips from Altamont Company, now available on TANDEMKROSS.com! 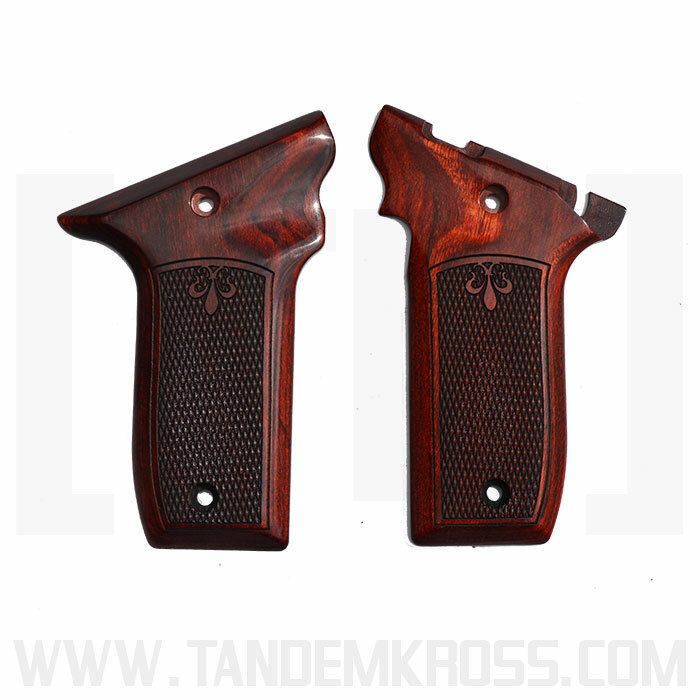 These SW22 grips are not only designed with beautiful, dark wood, they are also functional, providing a highly textured surface and improved grip shape for target shooting and other shooting sports. The laser-cut wood grips feature a checkered grip panel for a better grip surface in any weather condition. 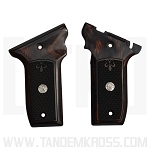 The grips feature a classic fleur-de-lis design and are available in three wood-grain colors: Silverblack, Super Rosewood and Super Walnut. These drop-in grips are easy to install and simply replace the factory grip panels. They can be installed using the factory grip screws, or with engraved Altamont screws. 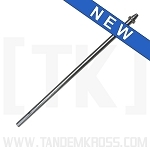 Click here to purchase patterned Altamont grip screws. Being an ex-cowboy action shooter, I've seen many different and unique grips for single action revolvers made out of many things like bone or mother of pearl or stag horn. They don't hold a candle to the fit, finish and quality of these grips. 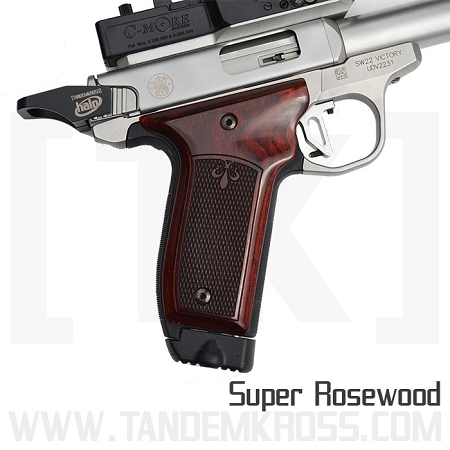 The color, I ordered the super rosewood, sets off the stainless steel of the 22victory and really gives the gun a more sleek look than the standard black grips that come with it. 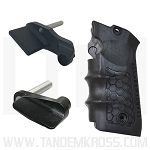 The also give the gun a thinner profile which aids in holding it in a more secure fashion. Once again a home run for Tandemkross! These are my 2nd pair of Altamont Grips. I don't care for the plastic grips that come with the S&W Victory. I recently purchased my 2nd S&W Victory. The 1st thing I did was purchase these grips. They look great & that fit my hand perfectly. More importantly they enable me to maintain a better grip especially when my palms are damp. I added the Altamont Star Screws. A niuce finishing touch. Wood looks good, a little warped but seemed to pull out when grip screws tightened. 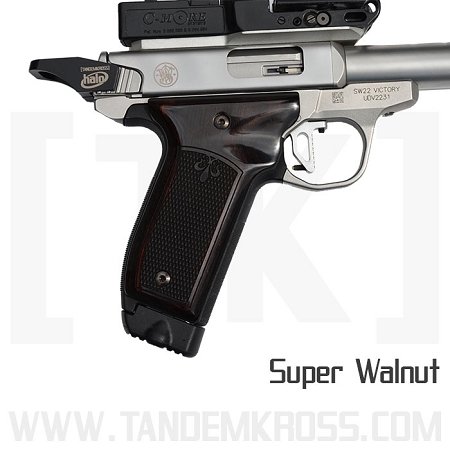 These grips in Silverblack along with the TK mag base pads made my S&W SW22 feel like a whole different gun and it looks real fine as well. Having stubby fingers, grip size is a frequent issue. These are thinner enough to be a little more comfortable than standard panels. The bonus was "wow" they make the pistol look way better too. The SW22® Victory™ grip panel is one of the most common complaints from Smith & Wesson Victory owners. 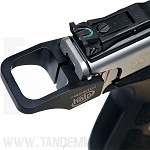 For competitors in speed shooting sports, especially, the shape of the grip and grip surface often makes it challenging to have a strong purchase and good control over the firearm.